Updated | These days, having any sort of ties to Moscow is politically toxic in Washington. Recent reports indicate President Donald Trump may have borrowed Russian money to keep his property empire afloat—while several investigations are underway into alleged Kremlin interference in the U.S. presidential election. Trump’s chief strategist, Steve Bannon, hasn’t been implicated in any of the ongoing probes. But Bannon does have ideological ties to Russia—and arguably they’ve had a profound impact on the administration’s relationship with the Kremlin. At least until now. In early April, Bannon was booted off Trump’s National Security Council in a White House coup that was at least partly a scuffle over how to confront a resurgent Russia. 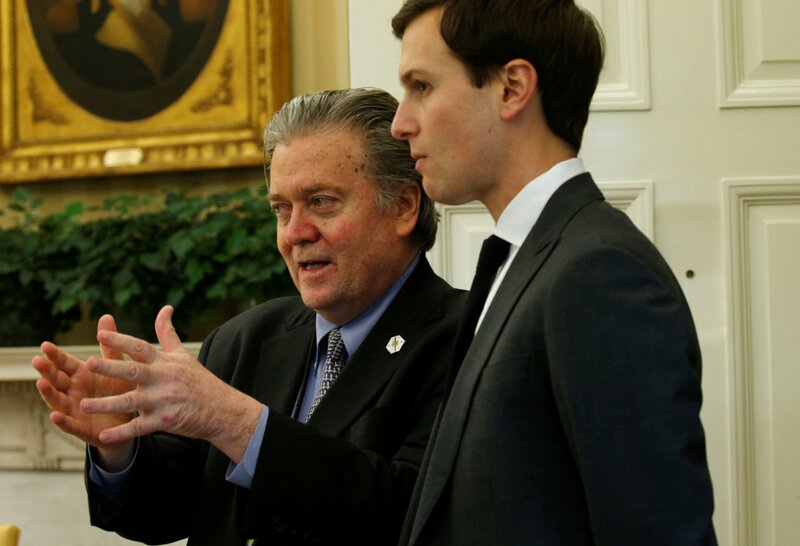 Days later, after the Moscow-protected government in Syria killed civilians in a chemical attack, Bannon lost a heated debate with Jared Kushner, Trump's son-in-law and senior adviser, over whether to punish the regime in Damascus. Despite these setbacks, Bannon remains an influential voice in the Trump administration, and his revolutionary brand of conservatism is a powerful force in the Republican Party. 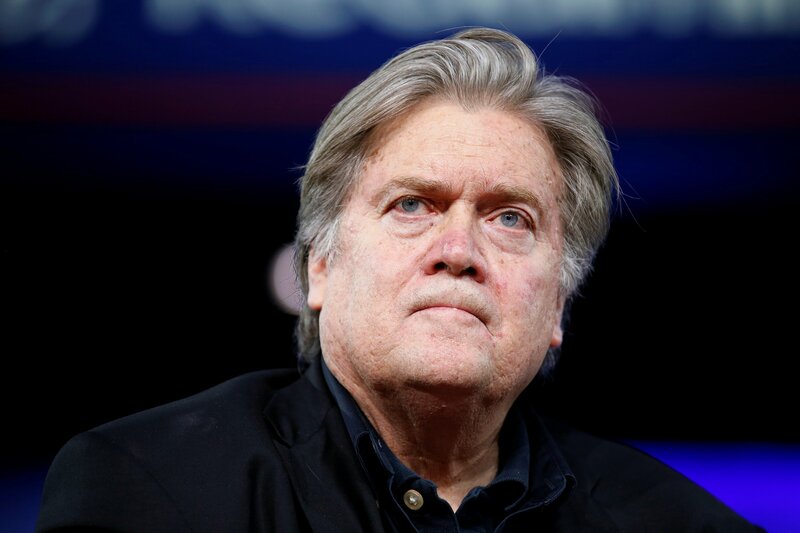 A former banker turned film producer and right-wing polemicist, Bannon has praised not only Russian President Vladimir Putin but also a brand of Russian mystical conservative nationalism known as Eurasianism, which is the closest the Kremlin has to a state ideology. Eurasianism proclaims that Russia’s destiny is to lead all Slavic and Turkic people in a grand empire to resist corrupt Western values. Its main proponent is Alexander Dugin, a Russian political scientist. Dugin’s philosophy glorifies the Russian empire—while Bannon and the conservative website he formerly led, Breitbart News, revived the “America First” slogan, which Trump later adopted in his campaign. Despite their nationalism, Bannon and Dugin have something in common: They both believe global elites have conspired against ordinary people. Their enemies: secularism, multiculturalism, egalitarianism. In both Bannon’s and Dugin’s worldview, the true global ideological struggle is not between Russia and the United States but between culturally homogenous groups founded on Judeo-Christian values practicing humane capitalism on one side and, on the other, an international crony-capitalist network of bankers and big business. Both men are also self-styled revolutionaries. Bannon—though he once worked at Goldman Sachs—reportedly described himself as a “Leninist” who wanted to “destroy the state.” And Dugin was the founder of the radical nationalist National Bolshevik Party, whose members have been imprisoned for attempting to foment armed uprisings among Russian minorities in former Soviet republics such as Kazakhstan. Trump’s election was greeted with delight in Russia and encouraged by state television, which lionized the New York real estate mogul as a man who would finally give Russia respect. In the early days of the Trump administration, the Kremlin had hoped for a better relationship with Washington based on Trump’s promise that he would work closely with Putin to destroy the Islamic State militant group in Syria. Trump’s starting team gave the Kremlin even more hope. Bannon was head of strategy. Michael Flynn—who had accepted a $40,000 fee to appear at the Moscow anniversary party of the Kremlin-sponsored RT television channel, where he sat next to Putin—was named national security adviser. Rex Tillerson, the former Exxon Mobil CEO, who negotiated a $7 billion oil exploration deal in the Russian Arctic with close Putin ally Igor Sechin, was appointed secretary of state. 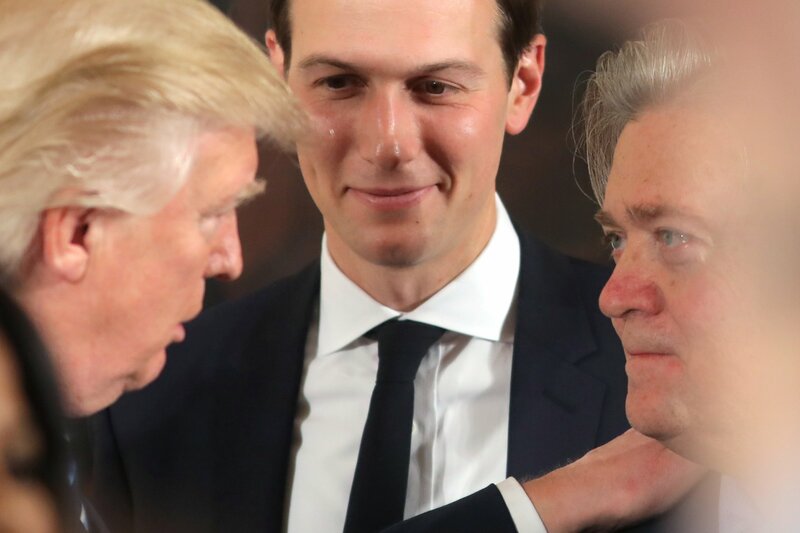 Bannon vs. Kushner? Or Trump vs. Common Sense? The love-in between Trump and the Kremlin proved brief. Bannon apparently made no move to lift U.S. sanctions on Russia imposed after the annexation of Crimea in 2014. At the same time, damaging allegations—including an unverified dossier alleging contacts between Trump advisers and Russian spies—plagued the White House. In the wake of Flynn’s resignation in March—he was untruthful regarding his discussions with Russian Ambassador Sergey Kislyak about the possible lifting of sanctions—Trump tweeted that he would be “tough on Russia”—and the White House announced it would not lift sanctions against the Kremlin until Crimea was returned to Ukraine. At the same time, Flynn’s replacement, General H.R. McMaster, along with Secretary of Defense General James Mattis, seemed to gain power within the administration and take a harder, more mainstream Republican line against Russia. Many factors contributed to Bannon’s ouster from the National Security Council: He was instrumental in two travel bans on Muslim countries that the courts struck down, he was one of the key architects of a failed health care bill, and he was embroiled in a high-profile row with Kushner. But it was also clear in the aftermath of Flynn’s fall that admiration for Putin—or any kind of appeasement of Moscow—has become politically impossible for fear of giving congressional and FBI investigators evidence of collusion. Bannon’s admiration for Putin has come into direct conflict with the White House’s new policies. In mid-April, in the aftermath of the Syria attack, Trump described U.S. relations with Russia as at “an all-time low” and reversed his earlier position on NATO, saying the alliance was “no longer obsolete.” At a G-7 meeting in Italy, Tillerson spoke out emphatically against the Kremlin. And when he reached Moscow to meet Putin, his reception was chilly. The political honeymoon between Trump and Putin is over, and Bannon has found a way to survive with at least some juice in the White House and his party. The question now is whether he can do the same if the Putin-Trump relationship ends in a bitter divorce.